Shipped with: Amiga 500+, 3000, 3000T and available as an update for all Amiga models. New outline/scalable fonts (as of diskfont.library 37.58) handled by the new "Fountain" (Intellifont) utility. Regarding an additional message, Ignacio Gully notes that: "Tools/Lacer contains the string "Bryce Nesbitt" which, of course, makes reference to its developer." 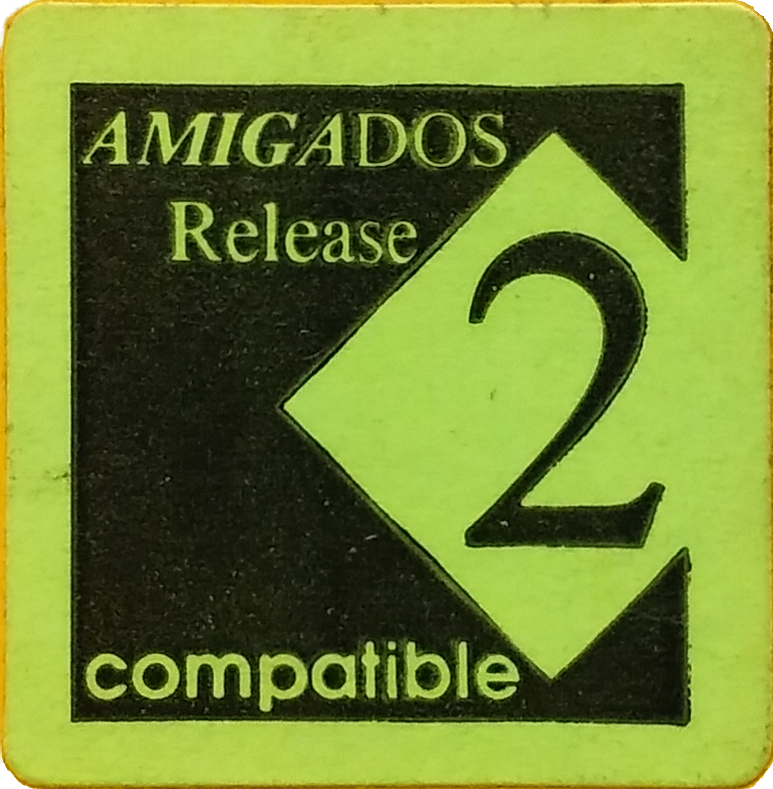 Without question, this remains the most extensive AmigaOS upgrade to date. Peter Cherna (OS group) notes: "...2.04 was another big effort and was very stable and compatible with a huge number of applications that, for various reasons (good and otherwise), did things that were not strictly by the book." Michael Sinz notes: "There was a 2.04 that we did that looked like 1.3 (for an inside joke/raid on a person who did not upgrade to 2.x and yet he was a 2.x engineer/tester)." 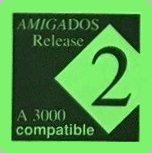 Joan Dow notes that: "Any AmigaOS version prior to 2.04 had a bug where windows could be turned inside out as long as you hit the right key combination that overrode minimum window size specs. People trying this would rather quickly discover that this was "Not A Good Thing." The poor confused Amiga then took a quick visit to the Guru." 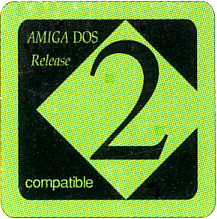 Chris Young notes that: "The 2.04 Install disk was only shipped with Amigas containing hard drives." Severino Calleja notes that he had the following 2.04 ROMs in his A3000T with part numbers: 390629-02, 390630-02. * Rodney Hester notes that: "This is an alternative 37.175 chip for the Amiga 2000 that included a jumper wire. This is the same jumper wire that some A500 motherboards required as well. It was contents-identical to part number 390979-01 (which did not include the jumper wire)." Robert Miranda adds that: "The wire on the ROM was for Z500 Rev 3/5 and A2000 Rev 4.x. The ROM sockets were wired for a different part, but they went out of production and the 27C400 (and some one-shot ROMs then) needed that wire to make the 512K ROM work. The 6.x motherboard was wired for the newer ROM part."